After the record paxflow in 2018, Keflavik faces disappointment. 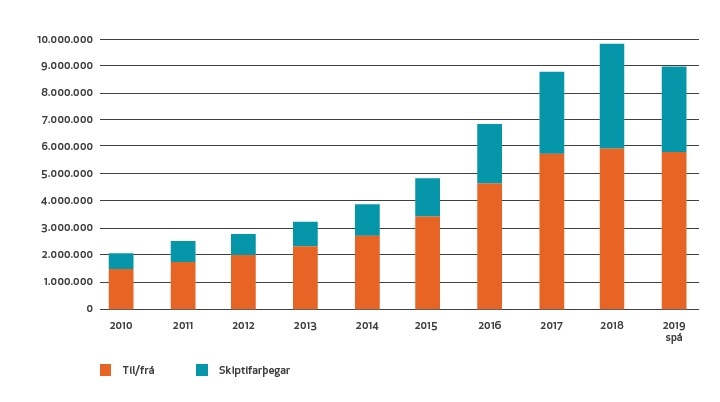 Fewer passengers in the main Icelandic airport will affect tourism in Iceland, which became the main country´s industry for the past years. Flugblogger learned, whom to blame and what are the perspectives. 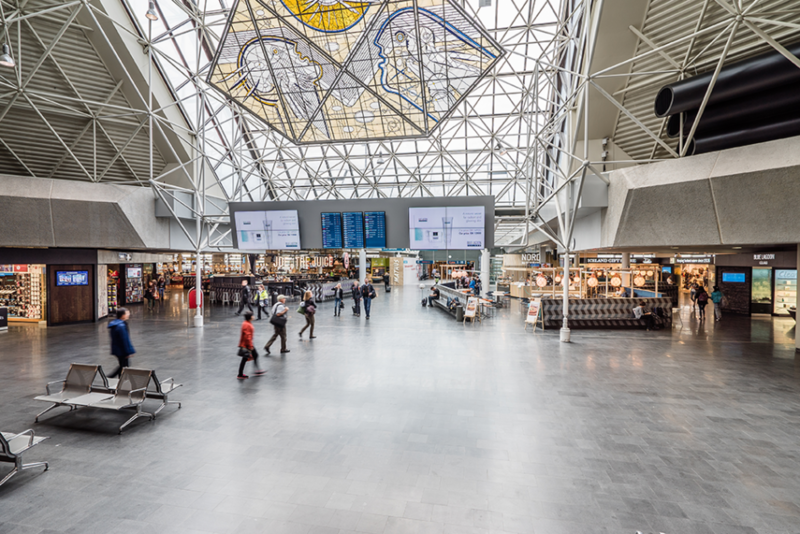 Icelandic airports operator Isavia has presented the forecast for passengers numbers in 2019 at Keflavik airport – the cornerstone of the Icelandic economy. The facility is the biggest airport in the country and so far the main gate for the incoming and departing tourists. Meanwhile, tourism is the main industry on the island, therefore Keflavik expectations are one of the main criteria for the country´s economy. In 2019 numbers go down. The expected paxflow is only 8,9 mln passengers, which is similar to 2017 with 8,7 mln. 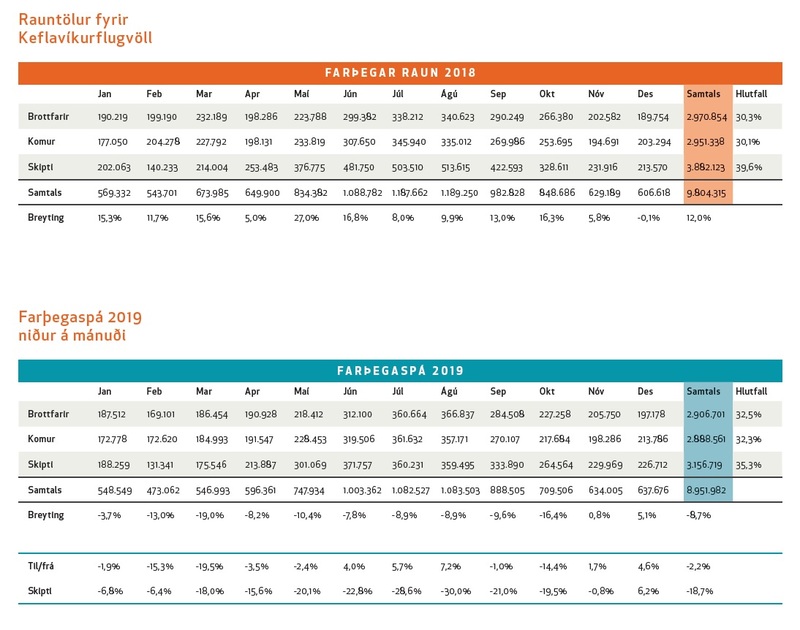 In 2019 the biggest decrease in transfer passengers, which is minus 18,7% compared to 2018, and an overall paxflow decrease is minus 8,7% to the year before. Icelandic passengers decrease is expected to be minus 3,3% and foreign passengers minus 2,4%. Usually, Isavia presents its expectation for the next year in November. This time it was postponed until the end of January. CEO of Isavia Björn Óli Hauksson explained, it was due to uncertainty in the market: „We believe, however, that the situation has been significantly improved recently“. His words are linked to the issues of two main Icelandic airlines – WOW air and Icelandair – which were becoming worst since the beginning of the 2018 year and reached its peak during autumn months. WOW air, which positioned itself as a low-cost airline, encountered financial problems due to the growth of oil prices and fees in Iceland. During the autumn of 2018, WOW air owed to Isavia more than USD 17 600 000 charges. The airline was so close to bankruptcy that its main Icelandic competitor – Icelandair – announced the purchase of it. Negotiations followed and had ended with a big surprise for everybody except WOW air´s founder and owner Skúli Mogensen when it revealed the Icelandic low-cost airline had found a partner on the other side of the Atlantic ocean. Indigo Partners LLC, the consortium from the US, which has a controlling interest in the American Frontier Airlines and Chilean low-cost JetSmart, also holding stakes in Mexican budget airline Volaris, announced about the signing of an agreement with WOW air. The news of it was so unexpected and even shocked for someone, that was included into Icelandic annual New Year’s Eve comedian TV-show “Áramótaskaupið”. Skúli Mogensen was presented there as a guy, who is trying to sell his airline to random pedestrians. Nevertheless, the Icelandic low-cost airline has declared in January 2019, that Indigo Partners approved the Senior Floating Rate Bonds with “an aggregate outstanding amount of USD 60,000,000”. The main requirement for the getting investments was restructuration of the WOW air, which began shortly after the signing of the agreement. 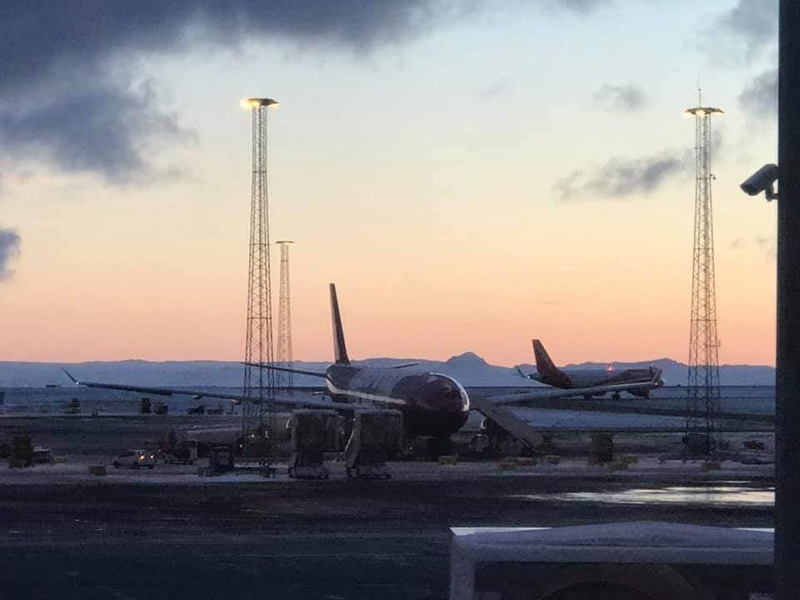 In the interview with Business Insider Skúli Mogensen revealed that the main issues in the management of his airline were high costs, which increased after adding new airline types to WOW air´s fleet. „One of the core essences of the successful low-cost model is to ensure that you maintain a simple and coherent fleet structure because it will very quickly complicate the operations and therefore the costs if you have multiple fleet types,“ Mogensen said to Business Insider. Therefore WOW air has started to reduce costs. In December 2018, the airline has fired 111 people, which is a significant number for Icelandic reality, and declared the reduce fleet from 20 to 11 aircrafts. First aircrafts started to fly away the same month. WOW air has signed the agreement, selling four of its Airbus A321 to Air Canada. It was said in WOW air´s statement, that „this transaction that will improve WOW air’s liquidity by more than 12 million USD.“ 1st of February, 2019 WOW air has sent off its last Airbus A330-300 (reg. TF-GAY). The route network of the airline shrank accordingly to fleet decrease. The route with the shortest lifetime became a direct flight from Keflavik airport to New Delhi. The airline shoots the flight December 6, 2018, when its restructurisation plan was launched. Its Airbus A330-300 performed the inaugural flight, linking Iceland with Asia through the direct flight for the first time in history. The plane came back to Keflavik and the route was shut down. There are still request from Indian customer on Twitter, who was attracted by massive WOW air advertisement campaign and still ask about „cheap flights to America“. More furious and even aggressive reaction in social media was from customers, who booked their flights months ahead, but then WOW air has wiped the destinations from their network. The most affected market is the US. So far, according to Routesonline, WOW air has closed reservations from Keflavik to Los Angeles after 23 January, to San Francisco after 31 March, to Vancouver after 6 June. In addition, there will be no more flights to Cincinnati, Cleveland, Dallas/Ft. Worth and New York JFK. Another big source of passengers for Keflavik airport is the flag carrier Icelandair. The company faced similar financial issues as its competitor WOW air but had to react differently. One of the main issues for the Icelandair Group, which Icelandair airline belongs to, is the diversity of its business. Besides the airline, Icelandair Group includes Icelandair Hotels, Iceland Travel, and Vita travel companies. Therefore, general uncertainty in the tourism industry in Iceland had affected more or fewer operations in all its branches. 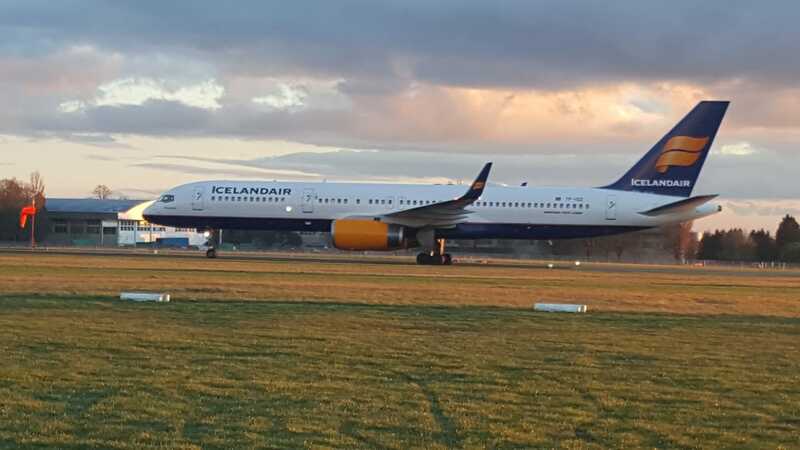 Talking only about the Icelandair, the airline encountered an increase of fuel prices, having on the background high costs of operation in Iceland. The airline’s fleet mainly consists of 25-27 years aged Boeing 757-200 with high operating costs. In 2018 the airline was trying to diversify its operations, expanding to Atlantic market through Cabo Verde and Azores Airlines (more details about it here). The step would help to the airline during the low winter season when half of its fleet is grounded. In addition, it would allow to built-in new markets into the Icelandair network. For example, providing transfers options between southern Europe and the Americas. However, the lastl year was not the best for such steps due to increasing costs. Usually, in such an environment, an airline should optimize its current operations and do not allow any costs growth. In the middle of 2018, Icelandair had published a new forecast for the financial expectations after the year. The estimate differs from the beginning of the year was 50 percent. At that moment Icelandair CEO Björgólfur Jóhannsson has resigned from its position. In his statement, he emphasized two reasons of the worst financial forecast. First was, the average fare increases, which was planned for 2018, could not be implemented until 2019. Second, the changes, which were made in the marketing and selling sectors of the company in late summer 2017, did not lead to expected results. “For this reason, forecasting models, which among other things are based on historical trends, have not worked as they should have, and an updated earnings forecast is lower than a previous forecast had predicted,” Björgólfur Jóhannsson said in his statement. In January 2019, Björgólfur Jóhannsson has led investors group for a new Icelandic airline on the Cabo Verde – Loftleiðir Cabo Verde. Loftleiðir is the historical name of an Icelandic airline, which became part of Icelandair in the 1970s. Therefore, Icelandair has appointed a new CEO. This position was acquired by Bogi Nils Bogason, the company’s CFO. In January 2019 he named 2018 as a difficult business year. According to his statement, Icelandair total income USD 1,511 million, up by 7% year on year in 2018, but year’s EBITDA USD 76.5 million, as compared to USD 170.1 million in 2017. It led to year’s loss after taxes USD 55.6 million, as compared to profit USD 37.5 million in 2017. „Our mission is clear: to improve the Company’s profitability and strengthen our operations for the future. Changes in the Company’s organizational structure have already been made to reflect our emphasis on our core operation, which is aviation. We are currently taking a number of measures, both on the revenue and expense side, which should result in improved operations in 2019. These measures include modifications incapacity to achieve a better balance in the Route Network between Europe and N-America, which will facilitate control and maximize revenue. We have also placed increased emphasis on ancillary revenue and on strengthening our sales and marketing activities, as well as an implementation of a new revenue control system is in its final stages. Furthermore, in spring 2019, a new connection bank will be added alongside the current connection bank, which will improve resource utilization as well as increase capacity and revenue. In addition, the Group’s domestic flight operations are currently under review“, Bogi Nils Bogason said in his statement. The optimization process affected both the fleet and route network. Icelandair gets rid of its old Boeings 757-200. Two of them were sent to the charter subsidiary and another one – TF-ISZ – was sold to scrap. Instead of them, the airline is waiting for new Boeings 737 MAX 8 and 9. Three of them were delivered to Iceland in 2018, six more are awaited in 2019. The route network is shrinking. After aggressive expansion to the US market together with WOW air, Icelandair now is closing some of its routes. In particular, Baltimore/Washington and Dallas/Ft. Worth among them. Keflavik will suffer not only because of the main Icelandic airlines. In the year 2019, there will be no flights of several charter European airlines, which did not manage to survive before and during the winter 2018/2019. The most noticeable bankruptcy is Primera Air and its subsidiary Primera Air Nordic, which had a hub in Keflavik airport. Charter airline served mainly European destinations on its Boeing 737-800. The airline has ceased operations in October 2018. Another charter airline Germania. Its fleet included Airbus A319, A320 and A321 together with Boeing 737-700. The airline served some seasonal flights between Keflavik and European destinations. It ceased operation in February 2019. The most concerns now are about Norwegian low-cost airline. The company performs regular daily service from Iceland to Europe and now balancing on the edge of bankruptcy, similar to WOW air before. In 2018 the airline aggressively expanded to the Atlantic market with its Boeing 787 long-haul flights, linking Europe and the Americas. In the case of ceasing the operations, it would affect paxflow to Keflavik as well. Although several low-cost airlines and charter companies feel not well after trying the year of 2018, European flag carriers are still encouraged to expand to the Atlantic market. 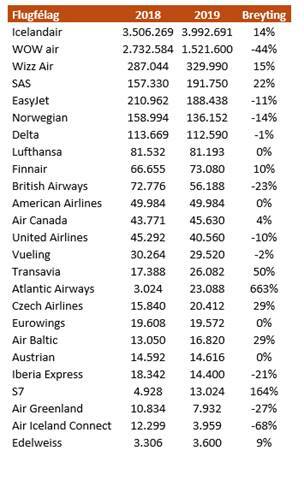 The main EU airlines, including Lufthansa, KLM, Air France, British Airways and Iberia, cut their fares and try to invite more passengers. According to anna.aero sources, Spain reported a 244% increase in the market during 2018 based on OAG data, with the number of departing low-cost transatlantic seats going from 85,000 in 2017 to 294,000 last year. Germany encountered a 143% rise, going from 79,100 one-way seats to 192,500 during the same period. The question is, will Iceland try to get some of this paxflow in Keflavik? Isavia COO of Keflavik airport Hlynur Sigurðsson told Flugblogger: „We will have to see. Of course, we need to look into which market available and which markets are needed to get new airlines and new destinations to come. WOW air and Icelandair are the biggest airlines and they do maybe about 80% of all air traffic going through the airport. When they decline, or, let´s say, about decline, depends on how Icelandair increasing against the decline of WOW air, it is, of course, affecting us. But we will cope with that. Despite we are going down to 8,9 mln passengers in 2019, we are far above what we expected as passengers amount for the master plan. Now we are at what is expected in 2026. We need to expand the terminal now and use the time to make passengers experience better and easier for the airlines to use us as a service. Plus, if we go a little bit above 11,5 mln passengers, we will need to add some gates to the airport”. Director of Íslandsstofa, a public-private partnership established to improve the competitiveness of Icelandic companies in foreign markets, Pétur Óskarsson told Flugblogger, the tourism industry in Iceland will be affected by a number of factors. “Less number of flight to Iceland, you see that WOW air decrease their supply of flights. Another reason could be the evaluation of Icelandic krona, which goes expensive. But actually, it is good that decrease will be only 2,4%. It is a bit relief from my side”, said Pétur Óskarsson. The total number of flight seats for summer program is reduced – from 7.9 million seats last year to 7.1 million flights this year. It should be kept in mind, however, that this flight plan, as well as others, may change with the airlines. These figures apply for the period April to October 2019, and the comparison for the same period last year applies. The summer season, as defined by the International Air Transport Association (IATA), reaches the end of March each year until the end of October. Icelandair plans to increase its seating capacity during the summer by 14% this year from last year. Estimates suggest that the supply seats at WOW air will decline by 44%. For other airlines flying to Keflavik Airport, a total reduction of 4% will occur. The difference is, however, whether the companies are reducing or increasing their seating capacity. Wizz air increases its seating capacity by 15%, SAS by 22% and Finnair by 10% while easyJet reduces its supply by 11%, British Airways by 23% and Norwegian by 14%.According to the companies’ plans for next summer, airline seats are expected to drop by 29% to and from the United States by 22%. However, seating capacity to and from Germany increases by 10%, to and from Norway and Switzerland by 16% and Canada by 18%. The main reason for less US aircraft deployment is the drop in US destinations, and fewer flights to and from the UK can be explained by less easy access by both easyJet and British Airways this summer.